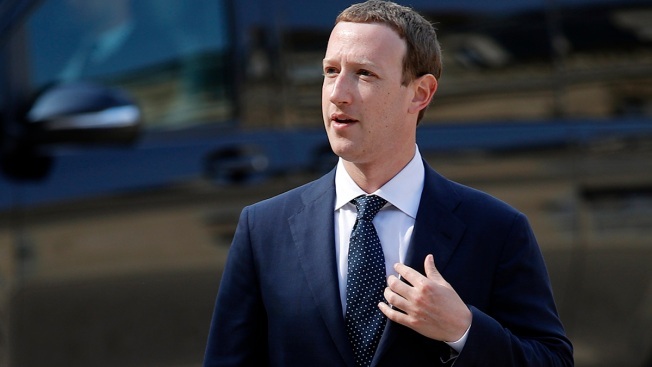 FILE - Facebook's CEO Mark Zuckerberg, arrives to meet France's President Emmanuel Macron after the "Tech for Good" Summit at the Elysee Palace in Paris, May 23, 2018. As Facebook’s scandals have increased so too has the amount of money the company spends to protect CEO Mark Zuckerberg. The company on Friday said it paid Zuckerberg nearly $20 million for security purposes, up from $5.1 million in 2016. Facebook on Friday announced that it allocated CEO Mark Zuckerberg $20 million for security purposes — that’s four times what he received for security in 2016. The increase shows up in a Friday afternoon financial filing, which showed Zuckerberg’s compensation more than doubled from $9.1 million in 2017 to $22.6 million in 2018. These funds are used to cover security at Zuckerberg’s “residences and during personal travel.” Zuckerberg received $7.6 million and $5.1 million for security in 2017 and 2016, respectively. Facebook has a broad security operation, which is known to track the locations of specific users that the company has deemed to be threats to Facebook and its executives. Zuckerberg’s sharp increase in 2018 compensation came after the company navigated a turbulent year riddled with scandals, starting with the Cambridge Analytica scandal in March, in which a political consultancy obtained personal data of Facebook users in an unauthorized way and used it to target political ads; and ending with the Definers Public Affairs episode in November, where Facebook was found to have used a firm to write negative stories about competitors and plant them in the press.